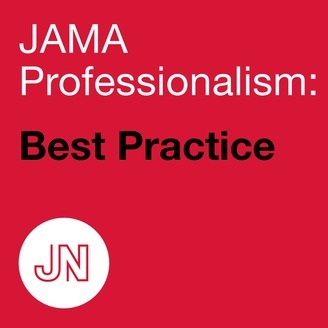 From the JAMA Network, this is JAMA Professionalism: Best Practice, the podcast about medical professionalism that examines difficult situations and prepares clinicians for the unexpected challenges of medical practice, with host Edward Livingston, MD. A young clinician notices that every patient she refers to one cardiologist gets cardiac catheterizations--whether they need them or not. How should she deal with this? The podcast features Shiphra Ginsburg, MD, MEd, PhD, from Mount Sinai Hospital and University of Toronto Medicine. Article discussed in this episode: Is There a Conflict of Interest?